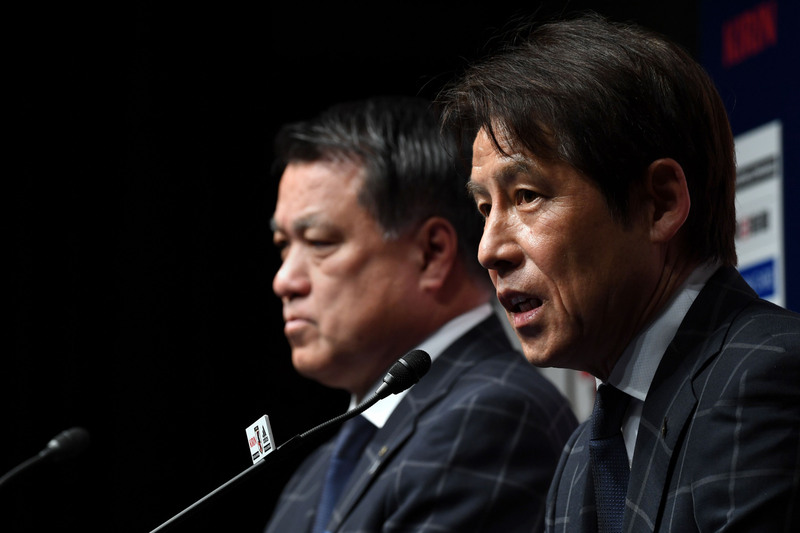 New national soccer team manager Akira Nishino believes Japan is capable of making an impact at this summer’s World Cup despite taking over just two months before the tournament begins. 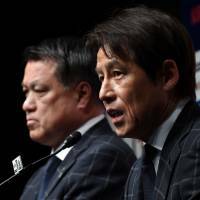 “If the players perform as they are capable of doing and come together as a team, they can give us something extra,” Nishino, who was appointed to lead Japan at the World Cup in Russia on Monday after the Japan Football Association sensationally fired manager Vahid Halilhodzic two days earlier, told reporters on Thursday in his first media appearance since taking the job. “I want to get results. It’s the World Cup, so I want us to show that we are good enough to get to the knockout round. But first of all I want the players to perform in the way that they are capable of. I want to bring that out of them. The JFA handed former technical director Nishino the reins for the June 14-July 15 tournament after it deemed that Halilhodzic, who qualified the team for its sixth straight World Cup appearance, had lost the trust of the players after a series of poor performances including a draw with Mali and a defeat to Ukraine last month. Nishino has only one game in charge before he must pick his final 23-man squad for Russia — a friendly match against Ghana in Yokohama on May 30 — but the 63-year-old believes the situation is far from irretrievable. “I don’t think we have fallen apart as a team at all,” said Nishino, who has signed a contract until the end of the World Cup. “I don’t think we’re getting the results and haven’t reached our full potential yet. The players tried to give their best in the March games. Nishino praised Halilhodzic’s work in sharpening the players’ individual skills but vowed to place more emphasis on teamwork when Japan takes on Colombia, Senegal and Poland in its World Cup first-round group this summer. “There are areas where Japanese football has been lacking and unable to progress on the world stage because of those shortcomings, and Halilhodzic wanted the players to be able to compete at that standard,” he said. “He wanted them to be stronger in one-on-one duels. “Make no mistake, that is something that Japanese football needs. You need to be able to attack directly from lots of different angles. But Japanese football does have its own style and that involves skill, discipline and organization. Nishino, who led Japan’s Under-23 team to a famous win over Brazil at the 1996 Atlanta Olympics before embarking on a successful career in the J. League, has retained Japan’s Rio Olympic manager Makoto Teguramori, who served as an assistant coach under Halilhodzic, on his coaching staff. 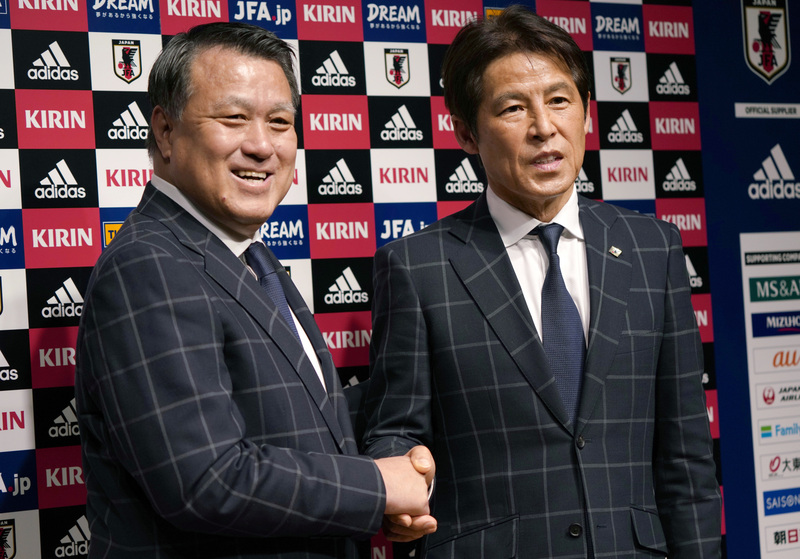 Nishino also added Hajime Moriyasu, Japan’s 2020 Tokyo Olympic team manager, as a second assistant, making his staff an all-Japanese selection. “For the future, we have to give the next generation of coaches experience,” said Nishino. Saitama Prefecture native Nishino set the record for the most career wins as a J. League manager in an 18-year career with Kashiwa Reysol, Gamba, Vissel Kobe and Nagoya Grampus, but he has spent the last two years away from the dugout after becoming the JFA’s technical director in March 2016. “I was the technical director and it was my job to support the national team manager and his staff,” he said. “Now, right before the tournament begins in Russia, we are in this situation and I am taking over as manager. I feel a strong responsibility. Now I will give my all to put together a team for Russia. 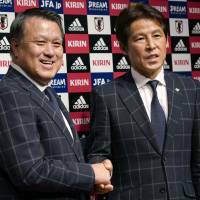 The JFA on Thursday named Japan’s 2012 London Olympic team manager, Takashi Sekizuka, as Nishino’s successor as technical director.